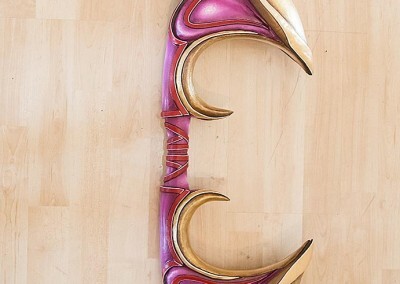 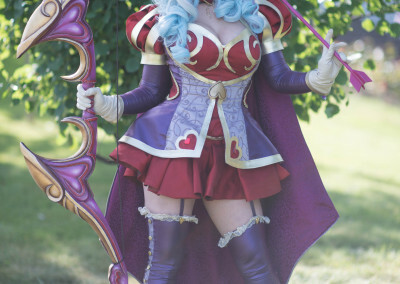 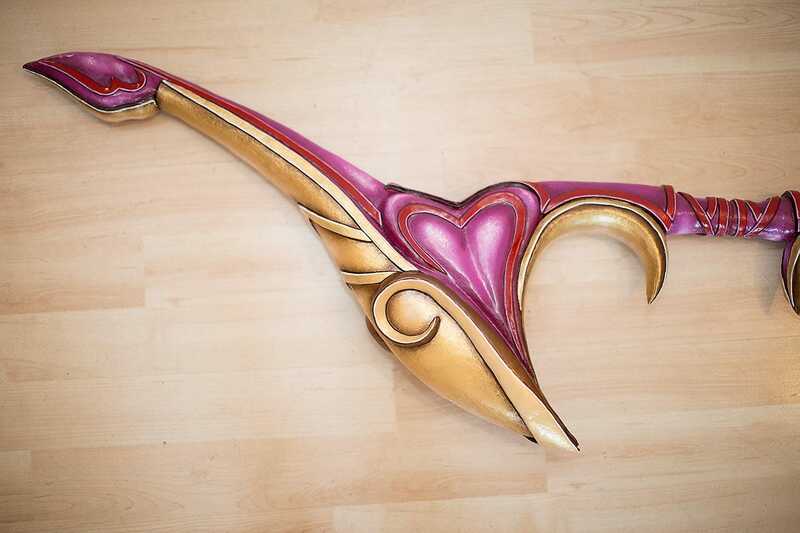 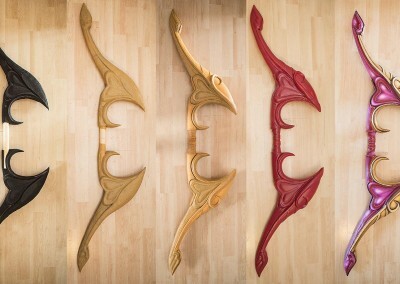 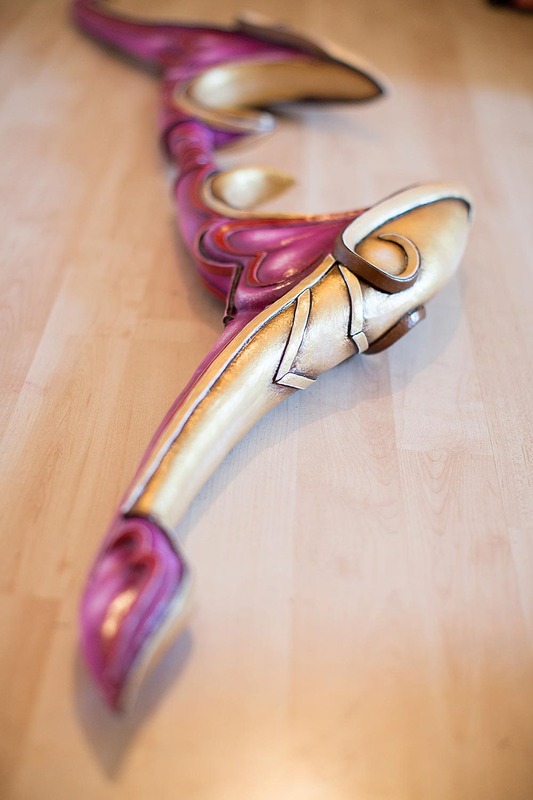 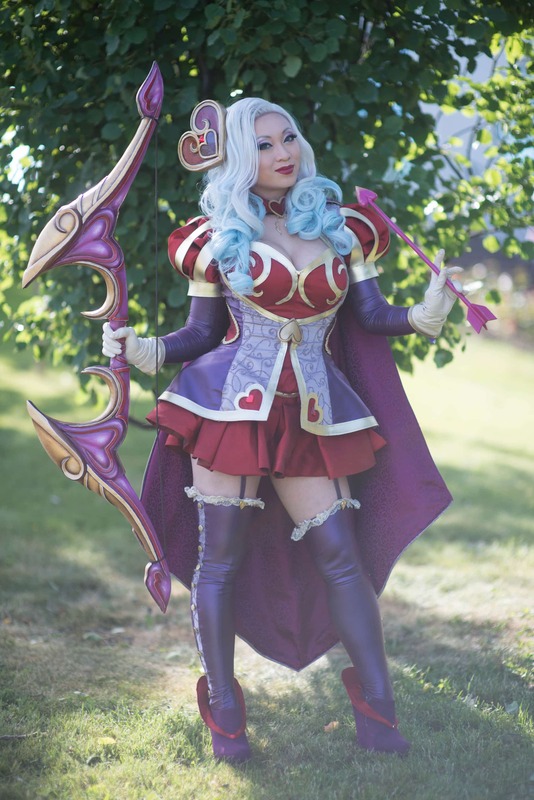 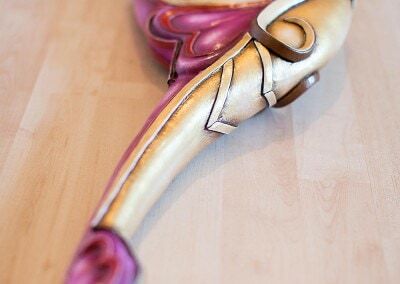 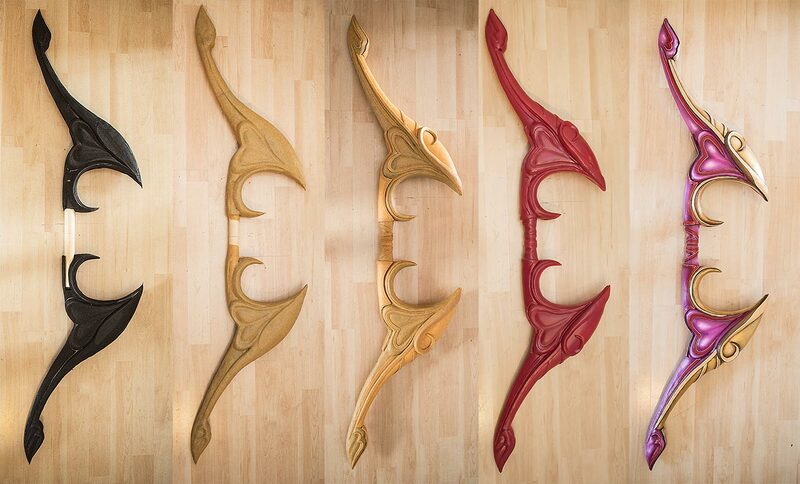 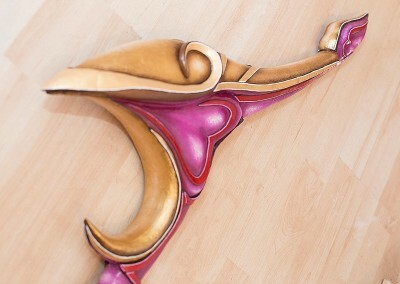 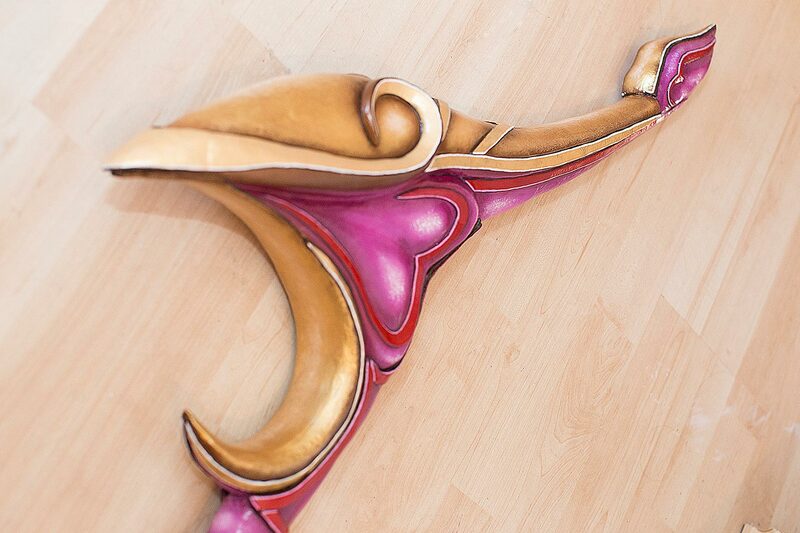 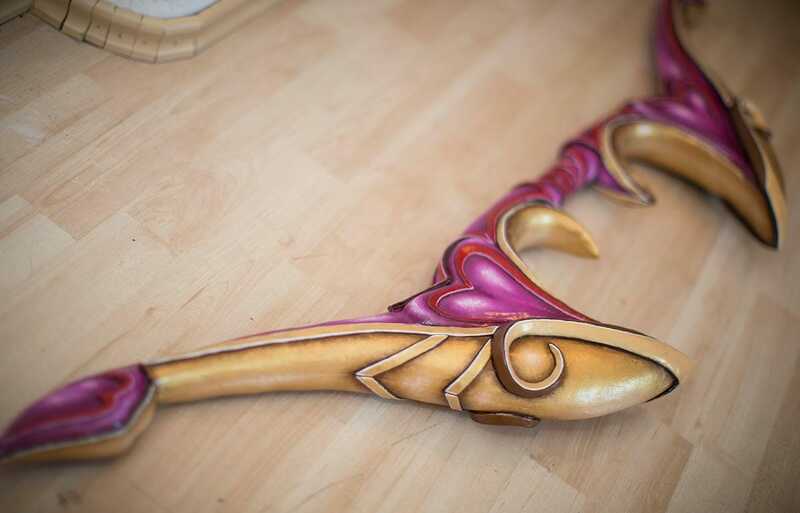 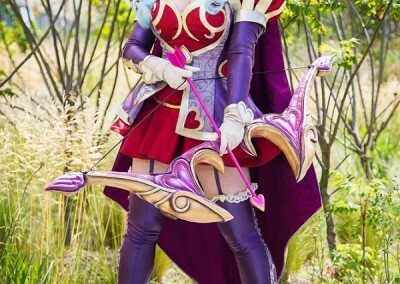 Heartseeker Ashe’s Bow was another weapon I build for my friend Yaya Han. 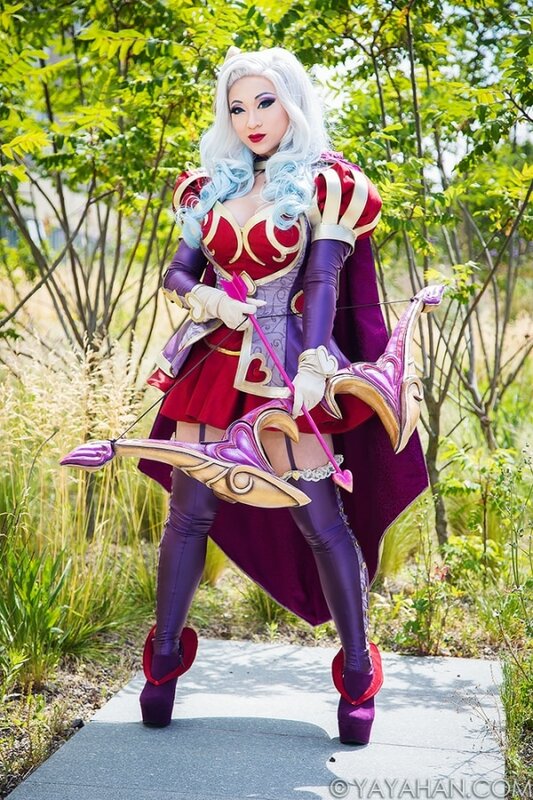 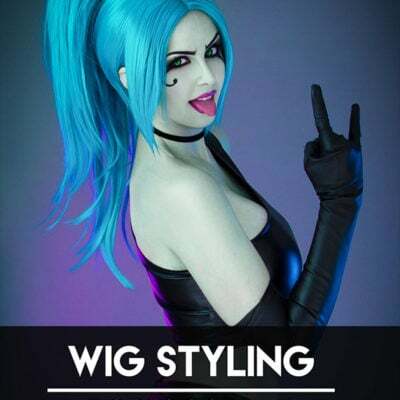 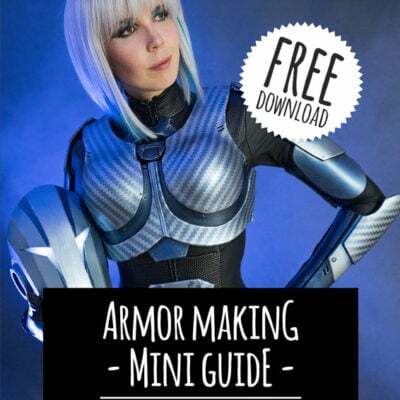 She build such a perfect Ashe costume that I could not stand seeing her without a fitting weapon. 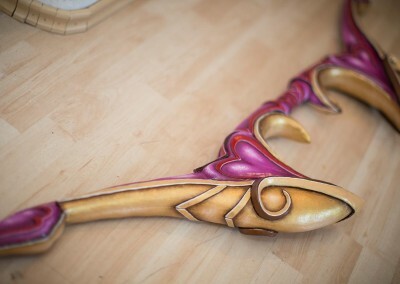 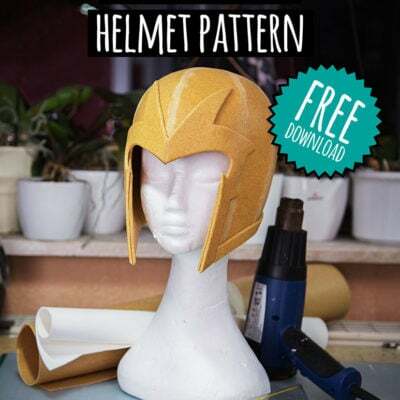 The base of the bow is several layers of EVA foam covered with Worbla.